ECE R90 regulation extends to brake discs and drums - Greening Inc.
As of November 2014, ECE Regulation 90 (ECE R90), which specifies design, construction and performance requirements for brake linings, has been expanded to brake discs and drums. The intent of the regulation is to ensure that a service brake part performs within a prescribed tolerance of the Original Equipment (OE) part it is intended to replace. 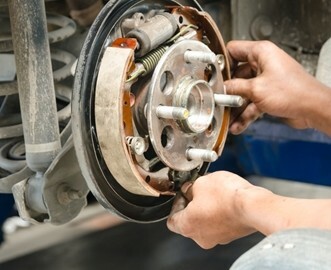 Parts immediately affected are brake discs for heavy commercial vehicles, with the rule coming into force for commercial vehicle drums and passenger car discs and drums in 2016. Ultimately, all replacement brake parts for vehicles type-approved in the 58 countries that recognize the rules of the World Forum for Harmonization of Vehicle Regulations will be required to perform in a manner similar to the originals. The Forum is a working party of the United Nations Economic Commission for Europe (ECE) and governs vehicle regulations not just in the entirety of the European Union (EU) but also in 30 other nations in Africa, Asia and Europe, including Australia, Japan, Russia, South Korea and Turkey. ECE R90 was introduced in the 1990s for brake pads, linings and shoes. Full implementation of the expanded rule is set for November 1, 2016 for passenger cars and light commercial vehicles. As Richard Adgey, product group manager for braking products and services at TRW Automotive, said "these regulations will make it much harder for sub-standard and counterfeit product to reach the market and seriously compromise driver safety." Greening Testing Laboratories, Inc. has recently been accredited to perform the ECE R90 test for brake discs, drums, pads and shoes and to issue ECE-certified test reports by RDW, the Netherlands' type-approval authority. Greening is the first technical service in any discipline outside the EU to be accredited by RDW, and is accredited by the United Kingdom's Vehicle Certification Agency (VCA) as well. Replacement part performance is evaluated for dynamic frictional properties, high braking load strength and thermal fatigue. In order to attain certification, the part must meet minimum requirements in all three of those areas. Parts are also measured for dimensional compliance with respect to part geometry and balance.